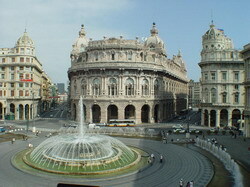 Genoa is a port city located on the Ligurian Sea, the capital of the province of Genoa, Liguria. Local harbor for today is one of the most important Italian ports, one of the largest in Europe. In addition to the critical importance of the city in terms of sea routes, Genoa is also a center for shipbuilding and heavy industry, being one of the three countries, apart from Turin and Milan, in the industrial triangle. Deciding to go to Genoa, do not forget to enter the port and take a picture with the background of the world famous lighthouse La Lanterna. Well worth visiting the gallery of mirrors, which you can find in the palace of the Spinola di Pellicceria. 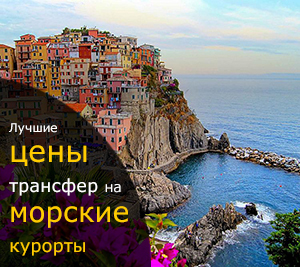 If you want to make your holiday to be free of any unpleasant surprises, you can contact our company and order a transfer service from Genoa to the airport and back quickly and comfortably. Here you can order a transfer to the hotel in Genoa and we will meet you at the airport and will deliver you to your hotel in a comfortable car. We are looking forward to getting your orders! When visiting Val Thorens, you can book a per-hour car rental with driver from 2 hours/day and more. Meet and Greet service, offered by our company, will significantly simplify the meeting in the airport for the newcomers. Using a "car rental with driver" service you can vesit the places of interest, famous shops or outlets to do some shopping near the city, saving your time in this way. Val Thorens chauffeur service offered by our company will cost you much cheaper to order a car rental with driver with us than to hire a taxi driver. To book the economy car or minivan with chauffeur or a comfortable premium class car, coach, shuttle bus up to 50 seats, please choose the button. Per hour rental in the left upper corner of the page, write in the [Departure:] field the departure point and number of hours.